Unlike the other sacraments that Christ indirectly instituted, this sacrament comes directly from something that Jesus said and did during his earthly life: the institution of the Eucharist at the Last Supper. Convergent NT traditions about the Last Supper support this conclusion, while differing slightly over details. For instance, on the one hand, Paul (1 Cor. 11: 23—6) and Luke (22: 14—20) report the instruction to 'do this as a memorial of me', and, on the other hand Mark (14: 22-5) and Matthew (26: 26-9) report 'this is my body' (without the 'for you' found in the tradition from Paul and Luke) and 'my blood of the covenant' (without qualifying it as the 'new' covenant' as do Paul and Luke). But these and further differences are secondary. The convergence of NT witness supports the constant Christian tradition and the teaching of the Council of Trent (DH 1640; ND 1517): Christ himself directly instituted the Eucharist before he died. At that sacrificial meal, he invited his disciples to share, by eating and drinking, in his covenant offering to the Father. In this sacrifice of praise, thanksgiving, and expiation for sins, Christ functioned as both priest and victim. His priestly words and gestures (the 'breaking' of the bread/body, reported by Paul and all three evangelists, and the 'pouring out of my blood', reported by the three evangelists) were clearly to be understood sacrificially. These words and actions symbolized and enacted the new covenant effected by Jesus' life, death, resurrection, and sending of the Spirit, a covenant of reconciliation that bound human beings in a new relationship with God and with one another. Sealing the covenant with blood unmistakably recalled the Jewish sacrificial background: in particular, the ceremony at Mount Sinai when Moses in his role as mediator dramatized the union between God (represented by the altar) and the twelve tribes of Israel158 by flinging some blood from the sacrifices over the altar and over the people and said: 'This is the blood of the covenant which the Lord has made with you' (Exod. 24: 1—8). 158 For the evangelists, early Christians, and presumably for Jesus himself, the presence of 'the twelve' (Mark 14: 12, 17, 20; Matt. 26: 17, 20) or 'the (twelve) apostles' (Luke 22: 14) at the Last Supper recalled the covenant scene of the twelve tribes at Sinai. That, however, is not to say that only the Twelve and no one from the wider group of the disciples attended the Last Supper (see Matt. 26: 26). 159 Some scholars, however, find in Heb. 9: 12, 14; 10: 19 a reference to communion in Christ's blood and to the eucharistic cup. highpoint of the previous meals of Jesus with sinners. During his ministry he ate with sinful men and women; that table fellowship was a major means for initiating people into a new, close relationship with God. What Jesus had repeatedly done during his lifetime he did at the end. All four Gospels make a point of stressing the moral weakness of those with whom he shared the Last Supper: Judas was about to betray him, Peter was about to deny him, and the other male disciples (at least according to Matthew, Mark, and Luke) were all to abandon him at his arrest. They needed to be initiated into a fresh relationship with God. In its 1963 constitution on the liturgy (Sacrosanctum Concilium) the Second Vatican Council entitled ch. 2 'The Most Holy Mystery of the Eucharist'. By 'mystery' the Council pointed to a reality that, although revealed to us, can never be pinned down or defined by human reason, but which constantly discloses to us different aspects of its inexhaustible truth. By adding 'most holy' the Council indicated that the reality of the Eucharist, even more than the other sacraments, brings an encounter with the awesome and fascinating reality of God. Thus the title for that chapter should alert readers to the fact that any reflection on the Eucharist must reckon with its boundlessly rich significance in truth and grace. Historically this richness has also been reflected in the variety of its other names, such as the Breaking of Bread, the Lord's Supper, the Divine Liturgy, the Mass, the Christian Passover, and Holy Communion. Over two millennia of Catholic and Christian life, however, six themes have recurringly emerged from prayerful consideration of the Eucharist: (1) the trinitarian aspect; (2) the unifying meal; (3) the sacramental sacrifice; (4) the special presence of the crucified and risen Christ; (5) the past, actual, and future dimensions; (6) the call to fraternal and social commitment in and through the Church. This is not to deny that other themes have turned up in official teaching and eucharistic theology. But our list of themes can help to organize much of what Catholics (and many other Christians) have believed and taught about the Eucharist. We begin with the NT writers. 160 The action and prayer of the bread blessing were completed when those at table ate the bread and with it the blessings given by God through the meal. 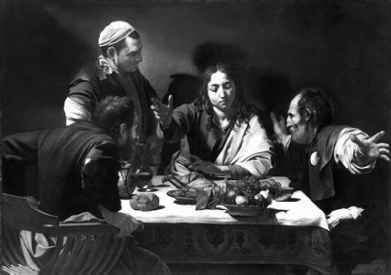 161 Paul, nevertheless, applied the verb eucharistein to Jesus' actions at the Last Supper (1 Cor. 11: 24) as did the Gospel accounts (Matt. 26: 27; Mark 14: 23; Luke 22: 19). Those who date the Didache a little later find the first use of 'Eucharist' for the sacrament in St Ignatius of Antioch (Epistle to the Philadelphians , 4). 162 Back in 1 Cor. 5: 7 Paul reminded his readers that 'Christ our paschal lamb has been sacrificed'. In the chapter under examination, as well as referring to Jews 'eating the sacrifices' and so 'sharing the altar' (1 Cor. 10: 18), he writes of 'food sacrificed to idols' (1 Cor. 10: 19), twice of pagans 'sacrificing' (1 Cor. 10: 20), and once of 'the table of demons' (1 Cor. 10: 21). 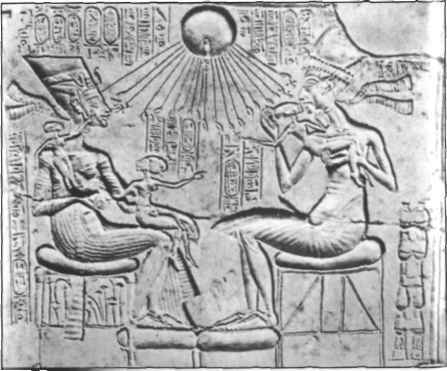 On a 'table' in the temples of various divinities, pagans shared in the altar by eating cult meals with food offered to idols. In comparing the Lord's Supper to Jewish sacrifices and sharply contrasting it with pagan sacrifices, Paul indicates that he thinks of the Lord's Supper as a sacrifice and probably also of 'the Lord's table' (1 Cor. 10: 21) as an altar. 163 Later the Didache was to refer to the eucharistic elements as 'spiritual food and drink' (10. 3); that connection may have already been intended by Paul. See A. C. Thiselton, The First Epistle to the Corinthians (Carlisle: Paternoster Press, 2000), 726. 164 The Didache forbade communion being given to the unbaptized: 'Let no one eat or drink of your Eucharist except those who have been baptized into the name of the Lord' (9. 5; see Justin, First Apology , 66. 1). 165 Paul's sense of Christ's presence in the Eucharist cannot be separated from his sense of Christ's presence in the assembly, a presence that those who eat and drink without thinking of the others in the assembly do not recognize (theme 6). 166 'O sacrum convivium, in quo Christus sumitur; recolitur memoria passionis eius; mens impletur gratia; et futurae gloriae nobis pignus datur.' In 1963 the Second Vatican Council quoted this antiphon, but omitted some words dear to Lutherans and other Protestants: 'his suffering is remembered (recolitur memoria passionis)' (Sacrosanctum concilium , 47). Although the Fourth Gospel, unlike those according to Matthew, Mark, and Luke, provides no narrative of the institution of the Eucharist, it contains a rich eucharistic theology, to be found in two sections: the presentation of Jesus as the bread of life (John 6: 22—71) which comes after the miraculous feeding of the five thousand (John 6: 1—15); and the story of the final meal with his disciples (John 13: 1—38), with the farewell discourse and prayer that follow (John 14: 1-17: 26). 167 On Paul's theology of the Lord's Supper see J. D. G. Dunn, The Theology of Paul the Apostle (Grand Rapids, Mich.: Eerdmans, 1998), 599-623; on 1 Cor. 11: 17-34 see A. C. Thiselton, The First Epistle to the Corinthians , 848-99. 168 In a scene with eucharistic colouring at the end of John's Gospel, the risen Jesus will feed seven of his disciples with bread and ifish (John 21: 9-13)—an echo of the miraculous feeding with five loaves and two fish. for you' (1 Cor. 11: 24). What they do not always add is that John not only used 'flesh' in place of 'body but also four times replaced 'eat', as in 'eat Jesus' flesh' (John 6: 52—3) by the graphic verb trogein (munch or chew) (John 6: 54—8). Evidently John wanted to counteract tendencies to spiritualize eucharistic teaching about feeding on Jesus' flesh and drinking his blood. No NT writer approaches the vivid realism with which John stressed the presence of Christ in the Eucharist (theme 4). In centuries to come, the character of this presence was to be explored and controverted. In ch. 6, John has anticipated the institution of the Eucharist at the Last Supper; in this chapter John provides his direct, major teaching on the Eucharist. Nevertheless, in the story of what Jesus said and did on the night before he died, John includes a certain eucharistic colouring. What is blatantly obvious is the humble hospitality that Jesus expresses by the footwashing. This episode, repeated in Western Catholicism at Mass on Holy Thursday, embodies the loving service the Eucharist calls for (theme 6). What might be missed is the way in which John accentuates by what follows the trinitarian content of the sacrament (theme 1). His attention to Jesus' high-priestly prayer to the Father and the promise of the Paraclete foreshadow the trinitarian shape that would clearly emerge in the eucharistic prayers of Eastern Catholicism and less so in the Roman Canon of Western Catholicism. In that eucharistic worship an anamnesis and an epiclesis have their inseparable but distinct places in leading up to the doxology. Let us explain these terms. The anamnesis as 'remembering' involves bringing to mind the saving actions of God in history, especially in the passion, death, resurrection, and glorification of Christ. As 'anticipation' anamnesis means looking forward to the time of final fulfilment and doing so with an expectation that already receives and perceives something of that ultimate future. In the eucharistic prayers the epiclesis or 'invocation' normally asks that the Holy Spirit descend upon the gifts to change them into the body and blood of Christ for the transformation of those who receive them. In the new eucharistic prayers introduced by the Catholic Church after Vatican II, the epiclesis before the institution narrative prays that the Spirit may descend on the gifts of bread and wine to change them, while the epiclesis after the institution narrative prays that the communicants be changed. In epiclesis the Spirit is invoked, and in anamnesis Christ is remembered and anticipated; through the presence of the Spirit, the eucharistic presence of Christ is actualized. Then the doxology (or 'giving glory to God') completes the eucharistic prayer, by directing 'all glory and honour' to God the Father 'through, with, and in' Christ 'in the unity effected by the Holy Spirit. Although John 13—17 does not deploy any such clear eucharistic structure of anamnesis., epiclesis,, and doxology,, nevertheless, its trinitarian language and convivial setting are not alien to the emergence of that threefold structure. One might mount a similar argument for what comes after Paul's eucharistic teaching in 1 Corinthians 11. What is said about the Spirit, the Lord Jesus, and God the Father in the very next chapter (e.g. in 1 Cor. 12: 4—11) gives the Eucharist some kind of trinitarian setting, which will flourish in coming eucharistic prayers. They have always been prayers addressed to the Father, in the indissoluble union between Son and Spirit. Let us note a further and final point where John and Paul also coincide in foreshadowing the development of the Liturgy of the Word and the Liturgy of the Eucharist. The former constitutes the first part of the Mass, with opening prayers of praise and repentance, readings from the Bible, followed ideally by a homily, intercessions for the Church and the world, and (on some days) the Creed or confession of faith. Then follows the Liturgy of the Eucharist, with the preparation of the gifts, the thanksgiving to the Father for the marvels of creation and redemption, the consecration and anamnesis, the epiclesis, the Lord's Prayer, some sign of reconciliation and peace, sharing in communion, and a final blessing. Unquestionably, we have nothing like this formalized sequence in John and Paul. Nevertheless, the eucharistic discourse in John 6 begins with the theme of eating and drinking the revealed teaching offered by the Word of God, and then turns to the life-giving bread who has come down from heaven (John 6: 25—59). This entire section in John 6 yields thus a certain analogy to the Liturgy of the Word and the Liturgy of the Eucharist. Similarly Paul seems to have in mind two different (but not opposed) gatherings: one for the 'word' and worship in 1 Corinthians 12—14, and one for the eucharistic meal in 1 Corinthians 11: 17—34. The former was a 'coming together' (1 Cor. 14: 23, 26) which, seemingly, interested outsiders could attend (1 Cor. 14: 24); the latter was a 'coming together' (1 Cor. 11: 17, 18, 20, 33—4) as a eucharistic assembly which was apparently restricted to the baptized. The two assemblies were to become united in one rite which moves from word and worship to the eucharistic meal.